3 Days and You'll Get Confidence You Can Lose Your Weight! Would you like to feel incredible for the next 3 days? We want you to try our program for 3 days so you see and feel results before you move on with a program! 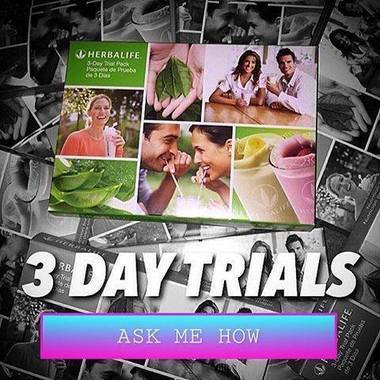 Fill out the form below to request your 3 Day Trial Video! Here's How Simple is & No Staving, You Eat 5 times day! * You will also receive a FREE Wellness Profile to Personalize your program! We are all different shapes and sizes and each one of us have different nutrition requirements such as water and most important Protein. It's important to use a program that will keep on your Lean Muscle and assist you in dropping only the Body Fat! Before Herbalife I focused strictly on fitness and believed that I could eat anything and everything and just work it out at the gym. After 5 kids, I learned that I had to start watching what I ate if I wanted to be heatlhy and fit.. I lost 17 pounds and 16% body fat. My energy level is awesome and I feel better than ever before. That was just over 2 years ago and I've kept my weight off all these years. Let's Do this together! 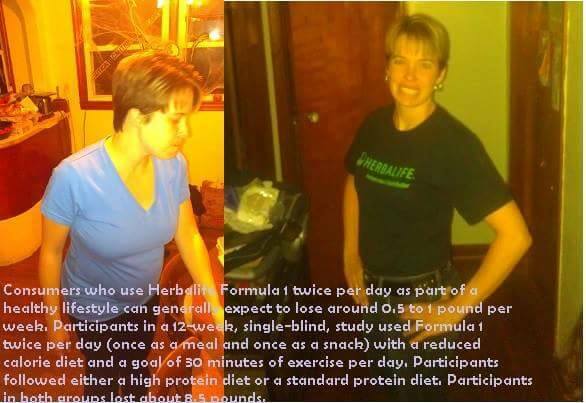 I look forward to speaking with you personally to go over your Health Goals!